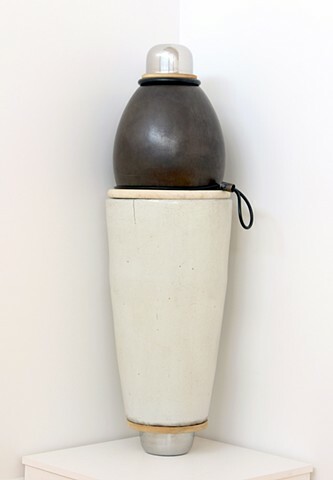 "Other works are large totems, stacked abstractions not of animals, but of the objects that fill our daily lives. Hoag has conciously named the ones that feel like a presence accordingly, Embody reminds me of an urn, but also a simple, streamlined robot, sterile without being stale. Associations float and flounder, and I arrive at some meaning: a futuristic encasement for organic remains and electronic components, which can wirelessly transmit thought. What can I say—I dig sci-fi."